No. 19, Jalan Makmur 2, Taman Perindustrian Desa Cemerlang, 81800 Johor Bahru, Johor, Malaysia. Taman Ehsan Jaya Pandamaran, 42000, Port Klang, Selangor. 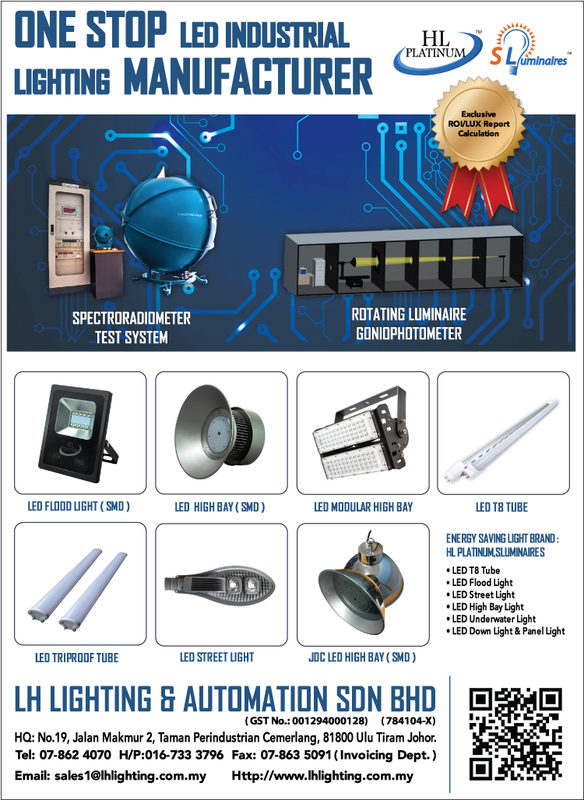 LH Lighting and Automation Sdn. Bhd. is a well developed company based in Ulu Tiram, Johor Bharu and was incorporated in 2006. LH Lighting also has been providing a wide range of solutions and distributing security products that covers for use on road, highway, work sites, company building and even your resident house. Our products are well known for its high quality and international standards .Beside that, our product can be custom made to meet our customer's need or requirement. Founded in 2006, LH Lighting & Automation Sdn Bhd has quickly grown and become one of Malaysia's suppliers and manufacturers of safety and traffic control equipment in the Southern side. We lead the field in diverse and quality road equipment by paying particular attention to international advancements, and bringing these developments to our customers. "We value our customer...and you would be more than satisfy with us..
LH Lighting & Automation Sdn Bhd first priority is providing quality customer service. We pride ourselves on our quick response time, so if your product or part is not in stock, we will get it to you within 24 hours or as soon as we can. You will never be shuffled from one person to another when you call - the person you're put through to will be able to answer your query. We are always interested in the success of our customer's businesses, so you can always rely on us to follow through and support our products and our customers. Customers earn benefit from our multi-disciplinary pool of highly qualified and experienced research professionals, engineers, and specialist technical and support staff. In addition to our ability to provide a total service across a wide variety of disciplines, our activities are backed up with certified laboratory and testing facilities and quality assurance procedures.